On Monday 18-year-old Rahaf Mohammed al-Qunun, took to Twitter from a hotel room in Bangkok, for the first time in a cry for help. She was trying to escape from her family and was due to be deported to Kuwait on Monday. However, on Tuesday, the UN got involved, and the Thai authorities said that she would be placed in their protection and would not be now deported. Her father had meanwhile arrived in the Thai capital. 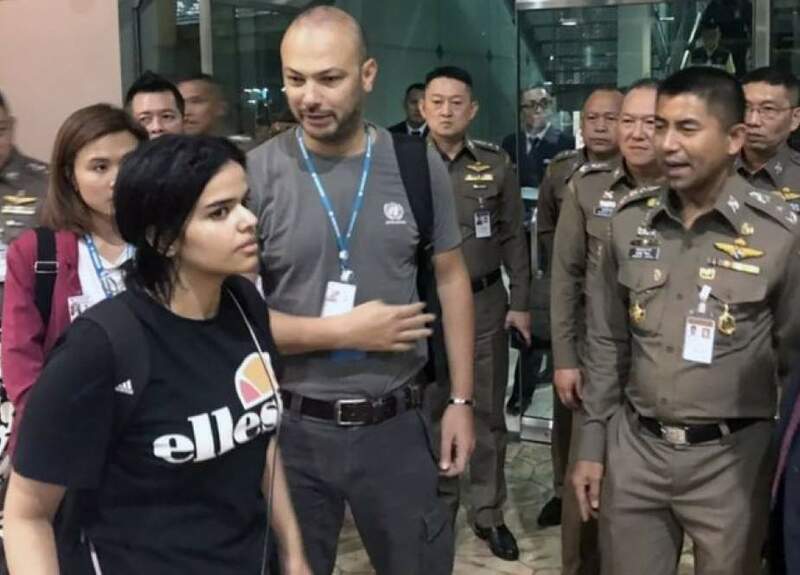 Rahaf was on holiday in Kuwait with family when she left and was attempting to head to Australia via a connecting flight in Bangkok but was said to have been detained at Thailand’s main international airport at the command of Saudi authorities. Saudi embassy officials had previously told her she was going to be put on a plane to Kuwait, Rahaf said, even though she does not want to return, in fear of retribution from her family. Human Rights Watch has backed up Rahaf’s story and has called Thai authorities to stop her deportation. She spoke to Global News via messaging from the airport hotel room where she was being held. Rahaf’s reason for fleeing the Middle East was to get away from the physical abuse she was subjected to by her male relatives. She even claims that she was once kept locked up in her room for six months because she had cut her hair. Australia is now considering granting her free refugee status after a referral by the UN. Some Images were released earlier by the Thai immigration police showing Alqunun leaving her room at a Bangkok airport hotel. Ms. Alqunun’s father and brother arrived in Bangkok on Tuesday 8th, but she has refused to meet them, Thai officials say. They continue by insisting that Rahaf will not be taken back to Saudi Arabia, nor will she be deported and forced to go elsewhere.